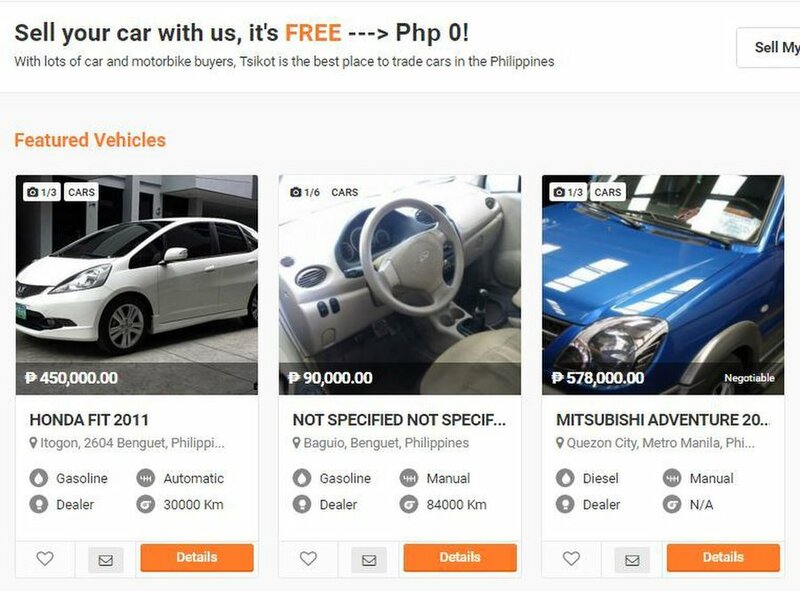 Tsikot is a website specially intended for buy and selling cars here in Philippines. Tsikot is a great place where you can find affordable brand new and used cars for sale. It is a bridge that connects car buyers and sellers so they can have a smoth transaction. Today Tsikot have upgraded their website to provide more quality services aside from providing free car and motorcycle listing. Now Tsikot also offers 100% free listing for car parts for sale and car services providers. Lastly Tsikot interface is user friendly which makes it easy for car dealers and sellers to post the cars they want to sale in Philippines. It also ease the burden of the car finders and buyers to find the right car that they are looking for. They have given full control to navigate the website so they can filter brand new from second hand car. They can also specify the make, model and year of car they looking for.